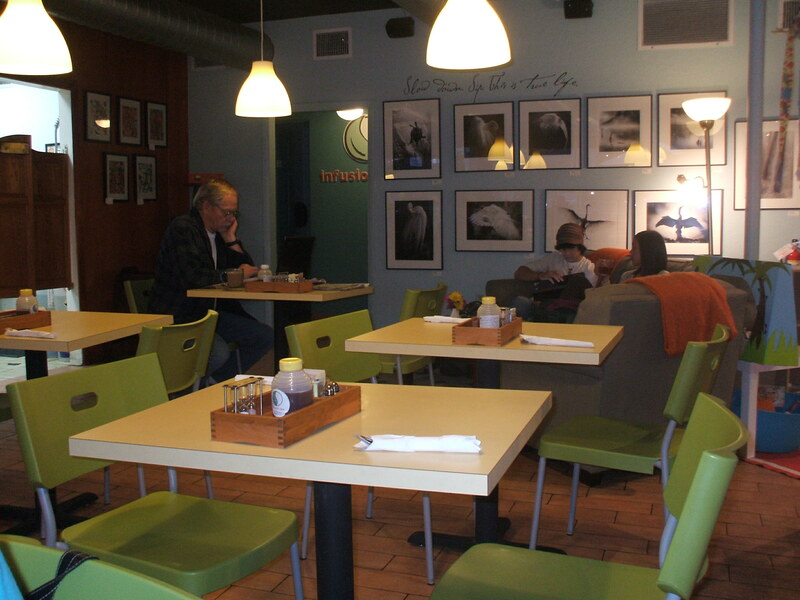 A Tea Room Experience Like No Other! Mrs. LanceAround was feeling bad. It was the coldest week in Florida’s history and Number Two Son had just left to go back to college in Sarasota. Mrs. LanceAround did not notice that the new winter coat we bought him for Christmas had been left behind. There goes the “mother of the year” award! Since we have been enjoying tea rooms in the Disney Area, we decided to drive the two hours to Sarasota, take Number Two Son his coat and enjoy a tea room along the way. According to TeaMap.com, the # 1 tea room in Florida is the Victorian Grace in Brandon, FL about 55 minutes from Disney World. We called them, only to discover that their last seating for afternoon tea is at 1pm. This puzzled us since typically afternoon tea is seved around 3pm? In addition, the link to their website on TeaMap.com was not working. It turns out that just a mile away from Victorian Grace is The Tea Cup, ranked # 3 in Florida. They close at 4pm and we were able to get there just in time. The beautiful decking at the back of The Tea Cup told us we had arrived at someplace special. 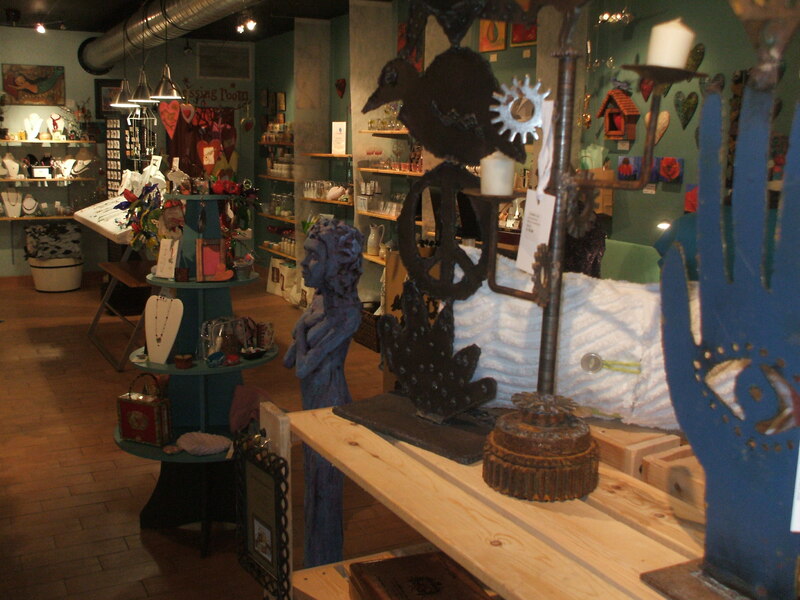 In addition to an elegantly decorated tea room, a section of The Tea Cup was a gift shop. 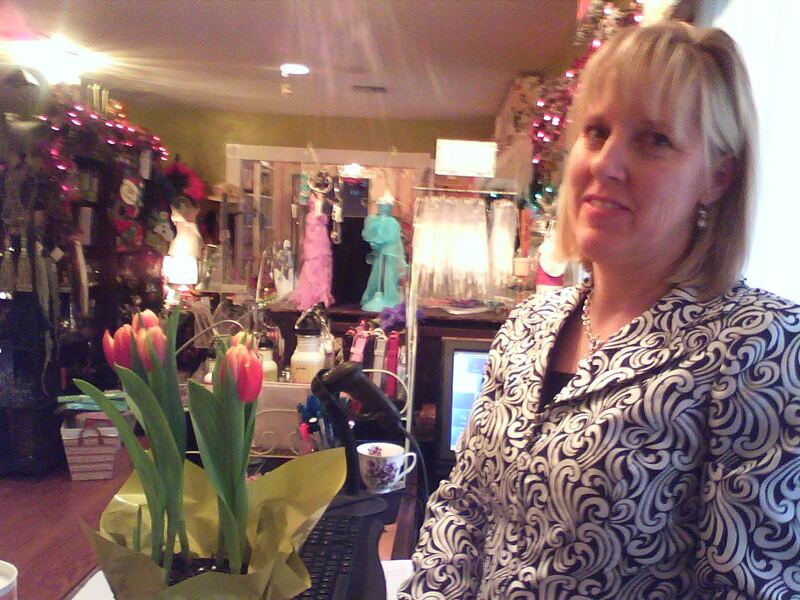 Owner Lynn Davis spoke with pride as she described her efforts to remodel prior to opening just two years ago. Since we had the misfortune of visiting The Tea Cup during the coldest week in Florida’s history, we could not fully enjoy the outside garden that was shaded by an enormous oak tree beautifully infused with a plant that appeared to be from the Araceae family. The wrought iron benches, tiled pathways and ornate archway in the outdoor garden indicated that this would be a very special place to enjoy a springtime tea! 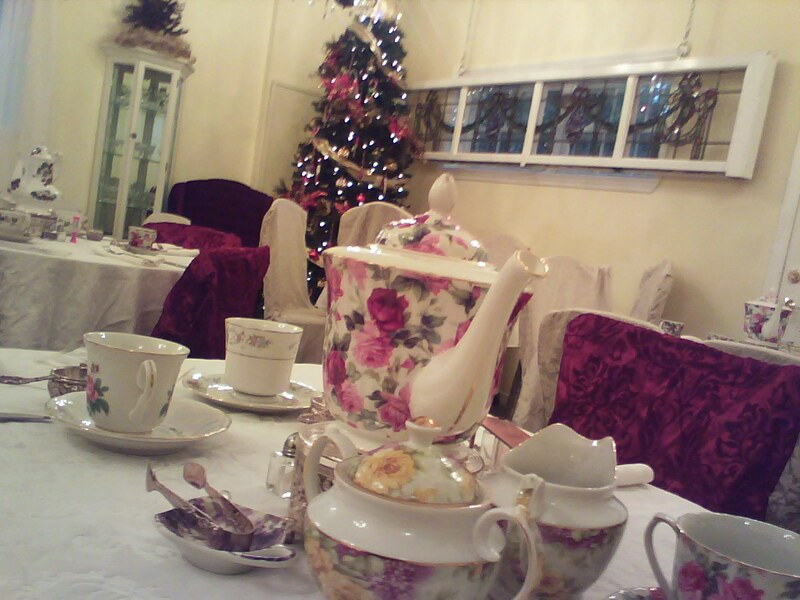 Inside, the tea room (pictured above) was peaceful, relaxing and romantic. Swept up in the grandeur, I leaned over to Mrs. LanceAround, stroked her lovely face, and was about to say… But just then my phone rang and I spent the next few minutes before getting afternoon tea dealing with a business issue. Oh well. Phone call over, the food arrived and it was magnificent. Lynn insisted that we try the portabello mushroom sandwich. She was right–It was to die for! The scones were about the best I had ever tasted. Everything was obviously made fresh. You could taste the loving pride that went into every bite. 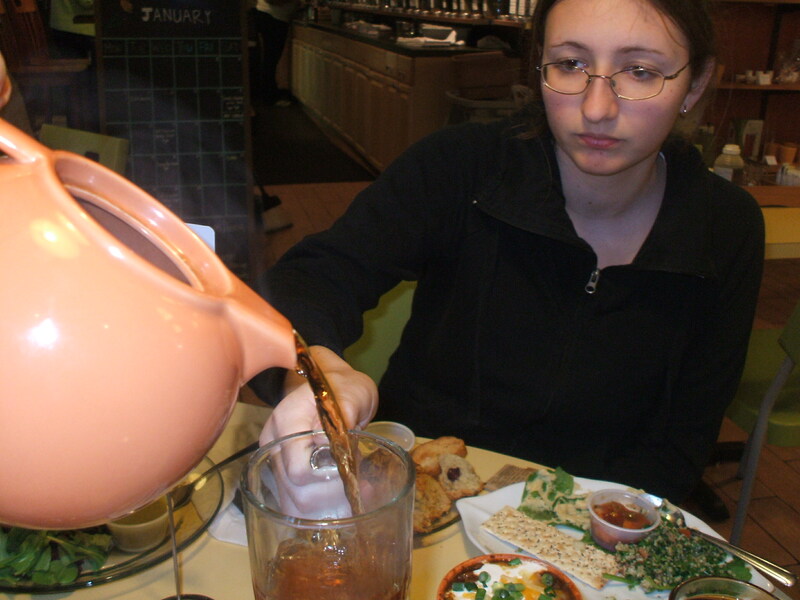 Their website states they are “A Garden Style Tea Room With Eveything to Delight The Feminine Heart.” But even those of us with masculine hearts find enjoyment at The Tea Cup! Next time you’re in Florida, skip the mouse and pay a visit to The Tea Cup. It’s a vacation experience you won’t forget. 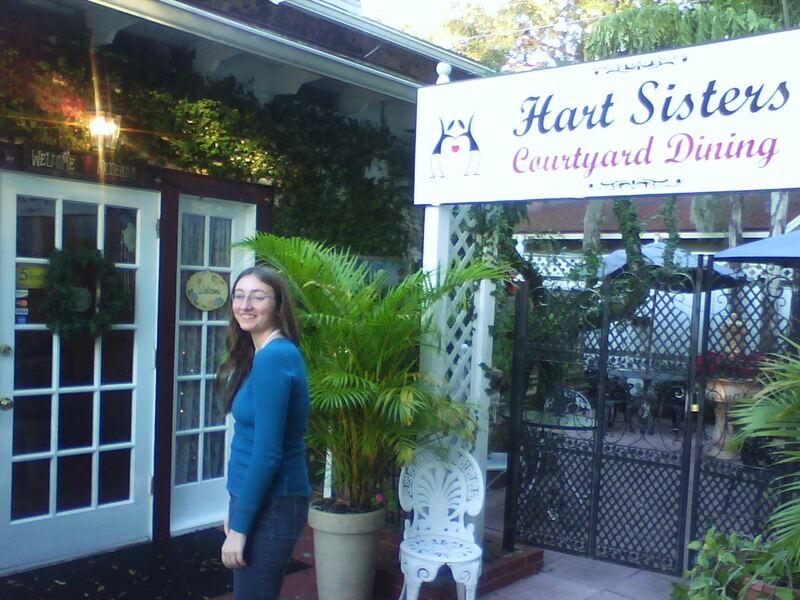 After the lovely experience we had at the Hart Sisters Tea Room in Sanford, we decided to use TeaMap.com to try some other nearby tea shops. Tea rooms near Disney are becoming hard to find as both Sherlock’s in Celebration and Churchill’s on West Hwy. 192 have closed their doors. 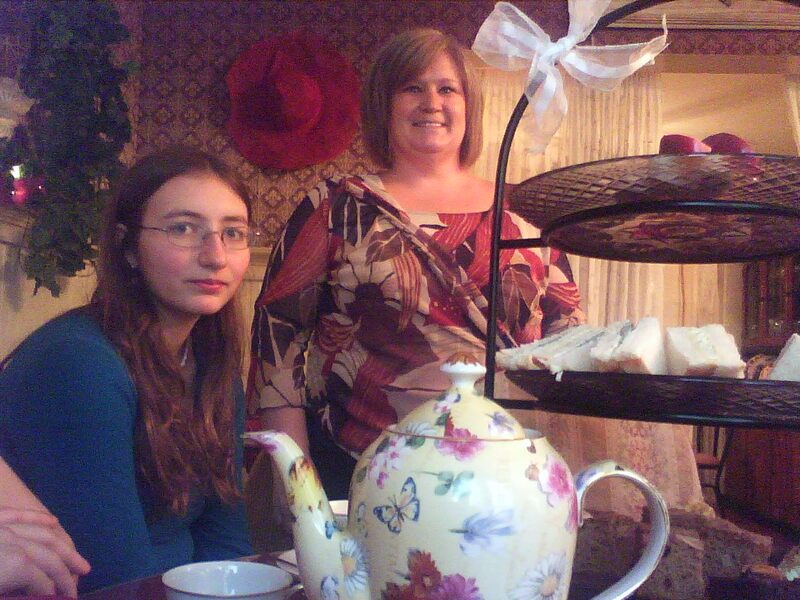 The next closest tea room is the Wishes Brew Tea House of Hunter’s Creek. Our experience there proved to be as schizophrenic as the name of the tea shoppe. Is “Wishes Brew” meant to be a play on the expression “witch’s brew?” If not, the unfortunate allusion proved to be prophetic. The first thing you notice upon entering Wishes Brew is the dichotomy of the furnishings. Interspersed throughout the elegant, Victortorian style tables, chairs and place settings are seatings obviously designed for the masculine set; dark wood, upholstered chairs with masculine table settings and chess sets are a stark contrast to the whimsical “Alice in Wonderland” tea set or our dainty, white table. In the center of the room was a platform containing extra large, king and queen throne-like chairs. According to our waiter they are used by “reservation only.” These different table settings further added to our dual feelings about this place. We loved the creativity and whimsy; the yin and yang. But what lay ahead? Were in for “Wishes” or “Witches” a-brewing? Turns out, it was a little of both. 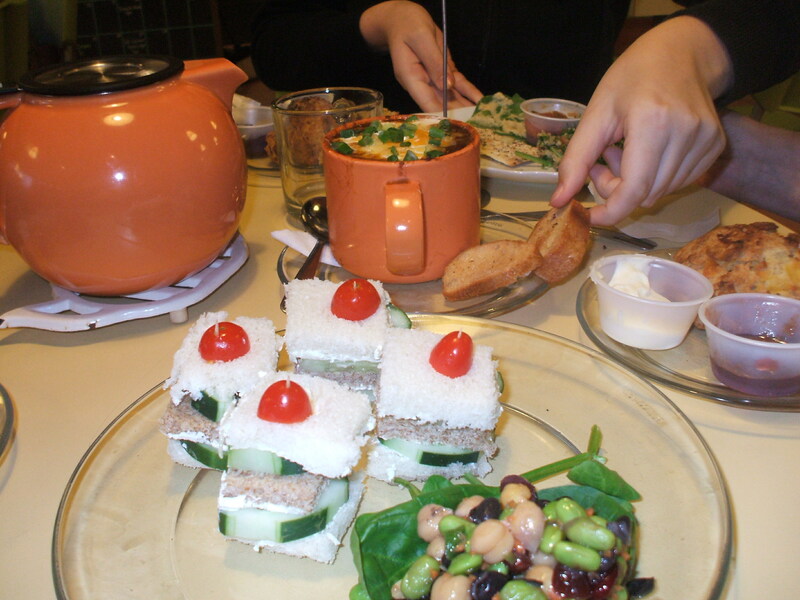 The menu was a typical tea room menu and Mrs. LanceAround and I eagerly ordered the afternoon tea while Number One Daughter selected the hummus platter. Our second disconnect occurred with the waiter, who was a handsome, eager to please young man. He was personable and engaging, but lacked some of the social graces one might expect from a person charged with the serving of an afternoon tea. The tea, scones, sandwiches, pastries and hummus were served. Thus came the final disconnect. The hummus tasted like it was a store bought. The pita was sliced, buttered and toasted. This did not disguise the fact that it was quite old. The egg salad and cucumber filling for the sandwiches were wonderful–but, again, this did not make up for the bread which was so old the exterior was hard and stale. The small scones were okay, but the miniscule amount of cream provided was not enough to make for a satisfying scone topping. Lastly, the pastries were all store bought, not fresh made. Albeit, we did enjoy the familiar taste of Walker’s famous shortbread cookie. You might be surprised to hear that, despite our experience, we actually think that Wishes Brew is worth a visit–especially if you have never had a tea room experience. Anyone can have a bad day. It won’t take much for them to ensure that they use fresh bread next time. Who knows, maybe even someone from Wishes Brew will read this review and offer Mrs. LanceAround and me a chance to try them again. Maybe even give us a free tea? We are not above such petty bribery. Be forewarned, however, just because you give us free food does not guarantee that we will amend this posting with a more positive rebuttal! Our fine readers deserve our honest opinion! 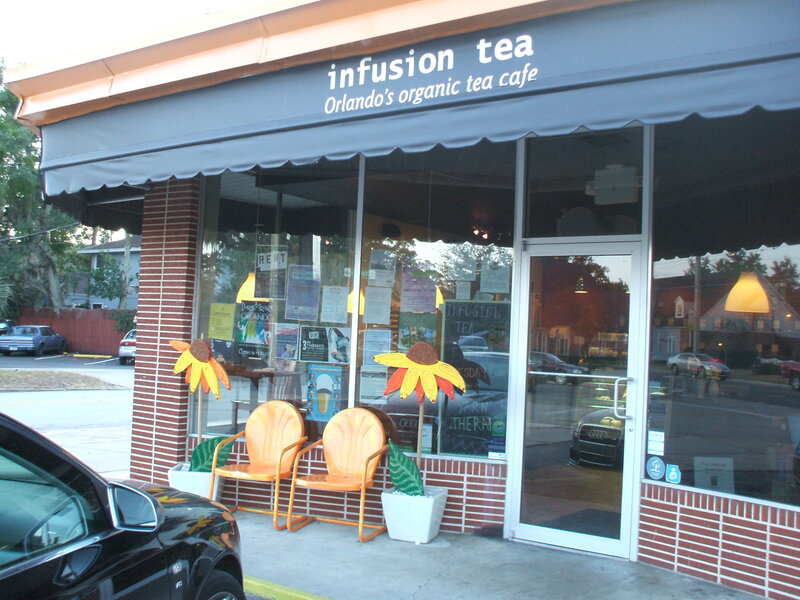 In the meantime, we are heading towards Tampa to try out another tea room that is currently ranked #3 in Florida by TeaMap.com. Stay tuned, we’ll post about it soon! Warm, Fresh & Unique…Every Day! That’s what the sign says outside the Venezia Bakery & Cafe. And it’s true! Did We Wander Into Venice? Ignacio’s grandparents immigrated from Spain to Venezuela where Ignacio was born and raised. 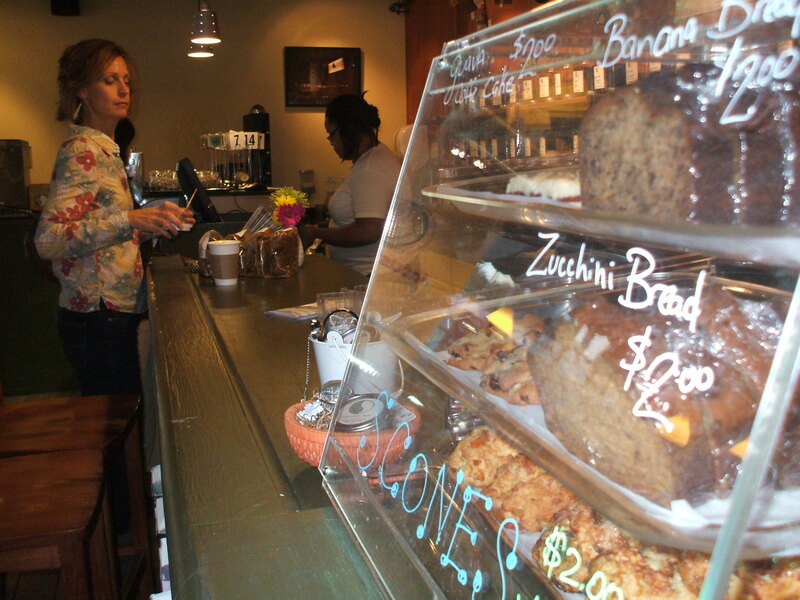 He created the Venezia using the same concept as the bakeries found in his native Venezuela. His cuisine is a mix of European and Latino influences and the decor of his restaurant makes you feel like you have wandered into Venice, Italy. He explained that when Europeans first came to Venezuela, they discovered an area where the natives had built their dwellings right on a lake. This reminded them of Venice, Italy, so they named this new land “little Venice” or Venezuela. Ignacio is very proud of his shop. He insisted on taking me back to the kitchen to demonstrate how he and his cooks create everything from scratch. The refrigerated walk-in was filled with freshly made products ready to be placed in the oven. The Venezia specializes in ham and cheese rolls made the same way they’re made in Portugal, breads, empanadas and rows and rows of freshly prepared pastries and other desserts. Mrs. LanceAround had a huge egg and cheese sandwich (which only cost $4.50 and she couldn’t even finish it) while I enjoyed a spinach empanada. The food was wonderful. Mrs. LanceAround also ordered an expresso which, she claims, was the best coffee she ever tasted; not a hint of bitterness. Enhancing the experience, every Sunday the Venezia features live music. This week, a group with a mandolin player, a guitar player and a harpist skillfully entertained the patrons. Located in Hunter’s Creek Village, just south of Hwy. 417 on John Young Parkway about 10 minutes east of Disney World.